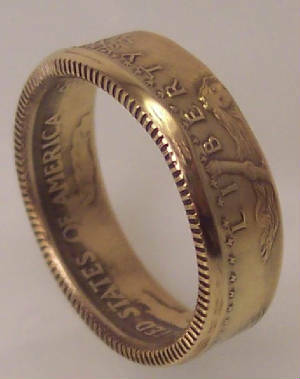 Pictured is an American Gold Eagle turned into a ring. 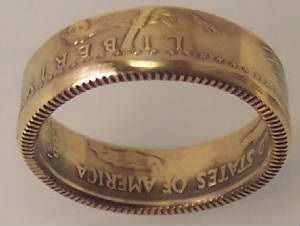 It is 22karat gold. 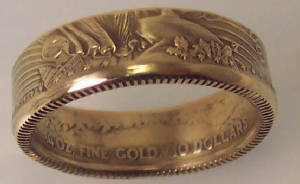 A 10 dollar gold piece was used for the pictured ring. 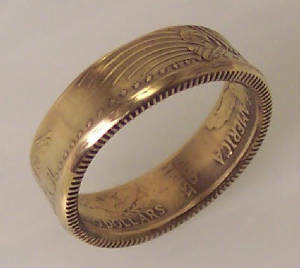 If a 25 or 50 dollar gold piece is used the ring will be much wider with more graphics retained. 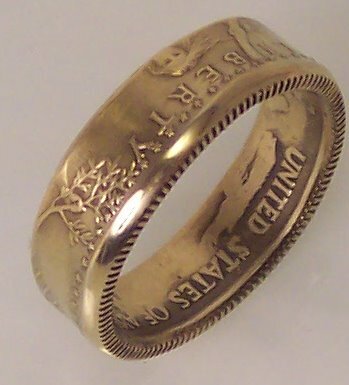 My gold rings are very unique, as they are made from genuine American Gold Eagle coins. 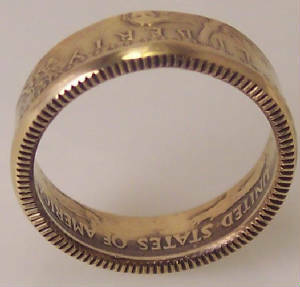 The Gold content in each of these rings is 22karats. 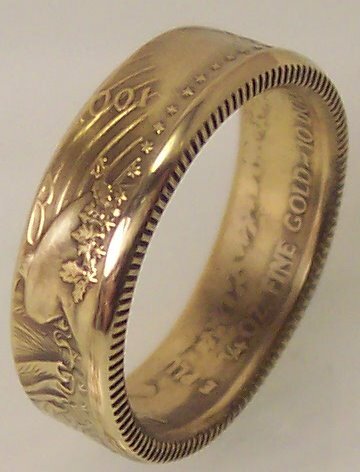 If you don’t own any 22karat gold jewelry now is the time. 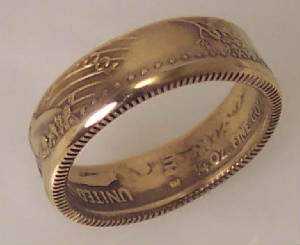 22karat gold is very yellow and next to 14k or 18k it stands out. And with the texture of the graphics from these Gold Eagles it will surely be noticed.